Our Great Parent's Night Out will be held at the school on April 26th at 7PM. You are welcome to bring a friend and wear your comfortable play clothes for a night of games, food and FUN! 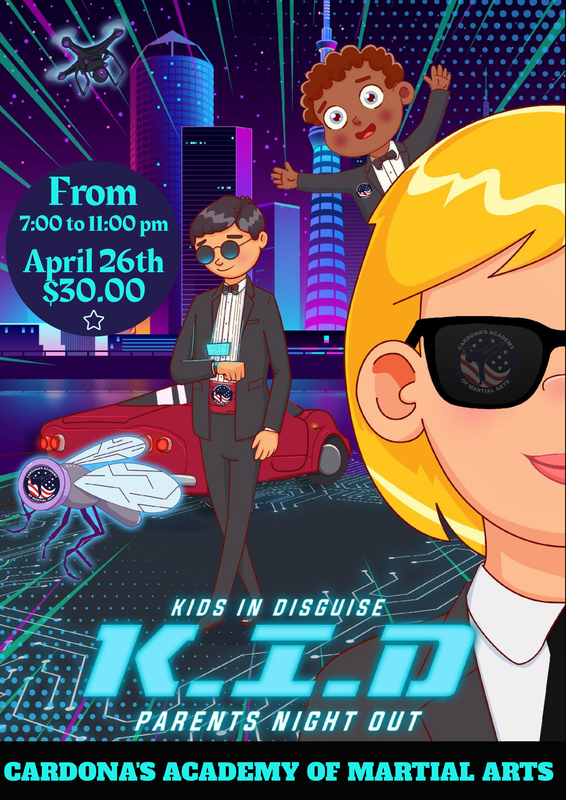 Our theme this month is K.I.D (Kids in Disguise). Parents you work hard and we appreciate you, so why not let us watch your love ones while you enjoy a night out. Hello everyone, please fill out the form below to register for our upcoming Event.